For those working in the media, general elections are usually a period of hectic activity. In India, 2019 dawned with elections around the corner. Political parties in the fray attached much expectation to it. A familiar litany of heated discussions, exclusives, poll forecasts, exit polls and election analysis would roll out across television channels and publications. Having covered elections before, Shibani Gharat knew what would head her way in April-May, which was when polls were due. Before the decibels peaked, could she squeeze in a challenge? It was a journey, as yet six years old. Unlike elections, this one was her own. Canberra? – She wondered. January 2013. Among those lined up for the year’s Mumbai Marathon was a young woman clad in Bermuda shorts and T-shirt. Apart from her daily half a dozen loops around Shivaji Park in Mumbai’s Dadar and weekend mileage of as many kilometers, she had run all of one long run – 17 km – as preparation for the marathon she was set to attempt. She was neither familiar with the right attire for running nor aware of the training required for a marathon. 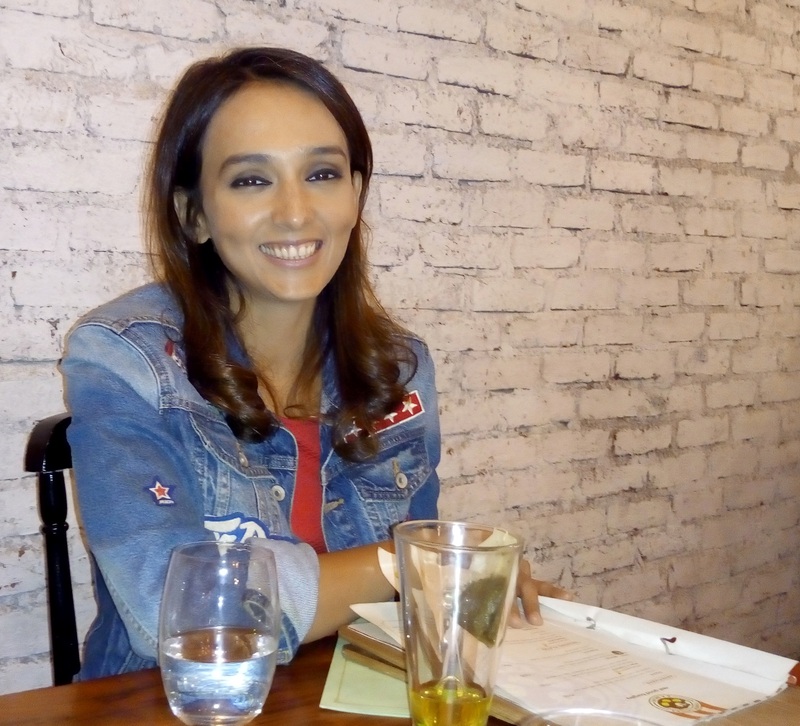 It was sometime in the second half of 2012 that a friend pushed her into enrolling for the half marathon at the 2013 Standard Chartered Mumbai Marathon (SCMM). By the time she decided to enroll, slots for the half marathon were full. The half marathon segment of Mumbai Marathon is hugely popular with recreational runners. Without any hesitation she enrolled for the full marathon (42.2 kilometers). The full marathon at Mumbai starts in the southern part of the city, moves towards suburbs in the north-west and then returns. On race day, at Haji Ali, during the return leg of the marathon, a friend called out to her: tu zinda hai ya mar gaya (are you still alive or dead)? She completed that maiden marathon in four hours 58 minutes. By the standards of recreational running, that is good timing; certainly for a first timer. The erstwhile textile mills of Lower Parel are now among Mumbai’s bustling business districts. The old mills have transformed to shopping malls, office spaces; even apartment complexes. As if that injection of perceived modernity is not enough, you have vertical lines of high rises – some of them, among the tallest buildings in India – stretching into the sky. Yet typical of India, no scene is sanitized to favor a single attribute. The old and the new co-exist. The roads of Lower Parel also have plenty of old buildings. The streets are congested and oozing at every twist and turn, the hallmarks of high population and densely packed life. It was December 2018. The television journalist we were to meet wasn’t hard to spot as she walked in. She wore a bright red dress and there was make-up from the studio, still on her face. It was late evening; the closing hours of another working day. The café in Lower Parel was packed with people, mostly young. “ During my school years, I was quite fat. I used to eat my classmates’ lunch,’’ Shibani Gharat, now trim and athletic, said recalling her past. She may have looked the consummate rookie, Bermuda shorts and all, that early morning of the 2013 SCMM. But she was no stranger to the active life. During her undergraduate studies, she had enrolled in a self-defence course and been subsequently introduced to taekwondo by coach, Bhaskar Karkera. Shibani went on to represent Mumbai in the sport at the state level; once she competed at the nationals too. She started running as part of her training for taekwondo. Born 1985, Shibani is the only child of her parents, both of them retired bankers. She grew up in Mumbai’s Shivaji Park area; heart of the city and quite centrally located if one imagined a portrait of town by sports facilities. Following her studies at the city’s Sophia College for Women, Shibani aspired to be a journalist. It was an uphill task. She could write well; she was already contributor at Asian Age and Times Journal of Photography. But the completion of studies and search for a job coincided with economic recession. There were no openings immediately available. Her parents, hailing as they did from banking circles, knew nobody in newspapers or TV channels to request for opportunity. Shibani’s first job therefore was as copywriter at an advertising agency. This was followed by a stint working at the publishing arm of Network 18. In no time employment elicited its first casualty. In her college days, she used to practise taekwondo in the morning and evening. “ The odd working hours meant that there was no time for taekwondo and running,’’ she said. The impact of declining physical fitness came sooner than expected. She suffered severe backache and ended up in hospital. Medical investigation showed vitamin deficiency among causative agents (vitamin deficiency is now widespread in India’s white collar workforce). She endured vitamin injections for a month. “ My condition was so bad that my mother had to come and lift me from bed. Compounding matters was my travel schedule. It was a wake-up call. I had to take my fitness into my hands. I went back to my old discipline of going for a run around Shivaji Park,’’ she said. She ran slightly longer distances on the weekend. The jogs at Shivaji Park brought her face to face with other runners from the region, like Sayuri Dalvi, who is among Mumbai’s well-known woman marathoners in the amateur category. It was at the behest of one of them that Shibani tried registering for that half marathon in 2013 (she was between jobs at this stage; on her way to joining CNBC), ending up eventually in the full. 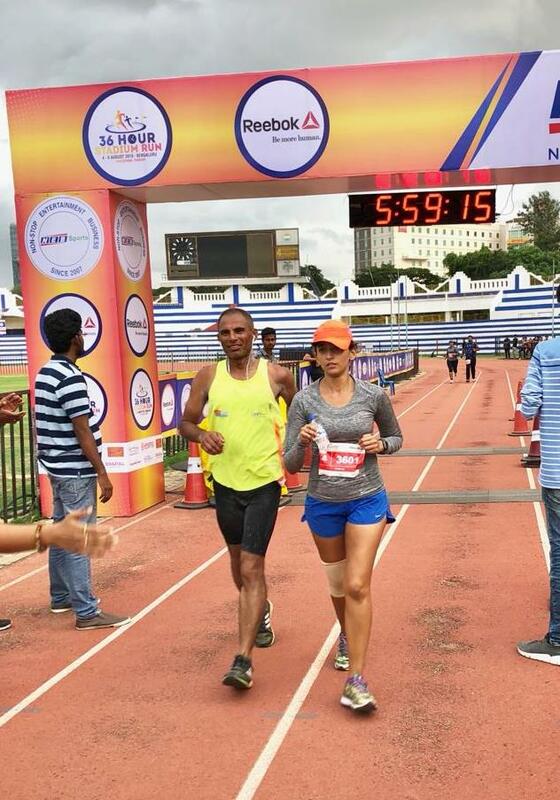 After this unexpected debut in the full marathon in Mumbai, Shibani enrolled for the full marathon in Hyderabad. It was a tough race and took a lot out of her. “ I suffered reaching the finish line,’’ she said. Between SCMM and the Hyderabad Marathon, there had once again been no formal training; the longest distance she ran in training was 20 km. On the bright side, she was into yoga and strength training. Notwithstanding the experience in Hyderabad (in amateur running circles the event is recognized as a tough but well organized marathon), she found herself signing up for the 50 km-category at the Bangalore Ultra. That was a jump from marathon to ultramarathon led by curiosity. Next on the cards was the Nilgiris Ultra where she covered a distance of 100 km. Here, for the first time, she met some of the known names from ultra-running in India, including Aparna Choudhary. There was little by way of structured training and progress in this journey from jogs around Shivaji Park to first marathon and ultramarathons; all in relatively short period of time. But by the end of that eventful year after participating in events far from home, Shibani got round to doing what she should have perhaps done earlier – she met runners from Shivaji Park Marathon Club. They provided her a sense of what training for the marathon entailed. It didn’t take long for television to notice runner in its ranks. In December 2013, Star Sports contacted her seeking to track her run during the 2014 edition of SCMM. “ The magnitude of having completed the full marathon hit me only when Star Sports approached wanting to cover me for 2014,’’ she said. The channel tracked her run at the 2014 edition of the Mumbai Marathon. It ended up being a personal best (PB) for her. She covered the distance in four hours 36 minutes. In February of 2014, she attempted the 101 km category at Run the Rann. But it turned out to be a disappointment. She quit the run at 65 km after she found herself going around the same loop several times. In August 2014, after training with Milind Soman (he was heading for the 12 hour-stadium run in Bengaluru), she ran the 12 hour-Mumbai Ultra. It was her first run of such duration. That year, Bengaluru-based ultra-runner Dharmendra Kumar told her about Khardung La Challenge, the 72 km ultra-marathon held as part of the annual Ladakh Marathon. She promptly registered for the ultra-run in 2014. “ As part of my training I did stair workout, running up several floors. I also avoided alcohol for three months before Khardung La,’’ she said. She made sure to acclimatize well ahead of race in Ladakh. The race was a fantastic experience for Shibani. She became the first non-Ladakhi woman to complete the ultra-marathon. Completing the Khardung La Challenge helped build her confidence. The same year, she enrolled for 100 km at Bangalore Ultra and completed the run in 18 hours. By now, she was quite well known in running circles as an ultra-runner. At that time, the ultra-running community in India was still small. As a recreational sport, the discipline was just picking up. The first stadium based ultra-run was organized in Bengaluru in 2014. In August 2015 the second edition was due. The organizer, NEB Sports, was inviting ultra-runners for the event. Shibani was among those invited. Running for 12 hours, she managed to cover a distance of 87 km. “ Stadium run is like a party with friends around. There is food and hydration every 400 meters,’’ she said. Stadium based ultra-runs are now held in many Indian cities including Mumbai, Delhi, Bengaluru, Chandigarh and Hyderabad. A week after the stadium run in Bengaluru, the 12 hour-Mumbai Ultra was scheduled. The course was in and around the same region in town as Shivaji Park. 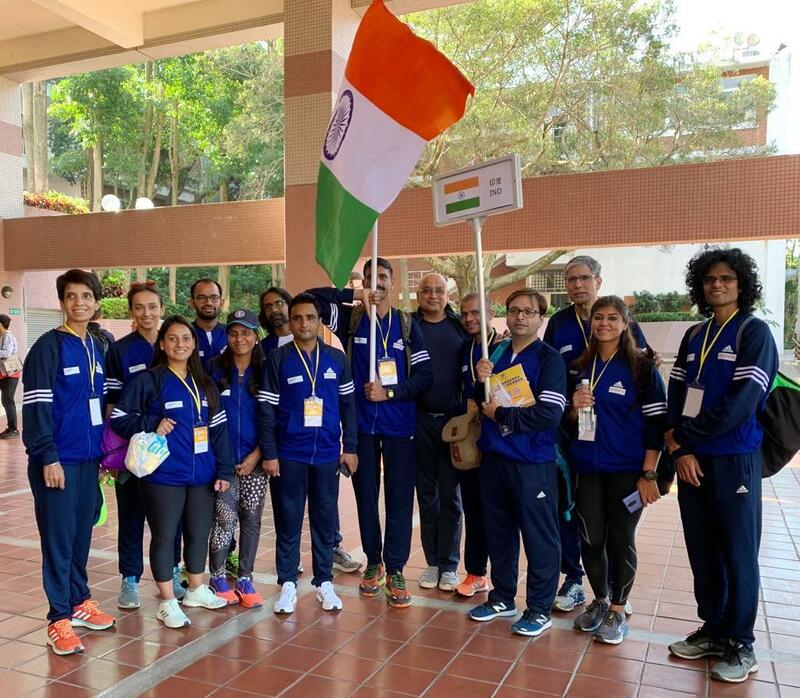 Shibani was among key runners at this event in Mumbai; she covered a distance similar to what she covered in Bengaluru, during the allotted 12 hours. Before the year was out, in November, she also ran the 2015 edition of the Istanbul Marathon. 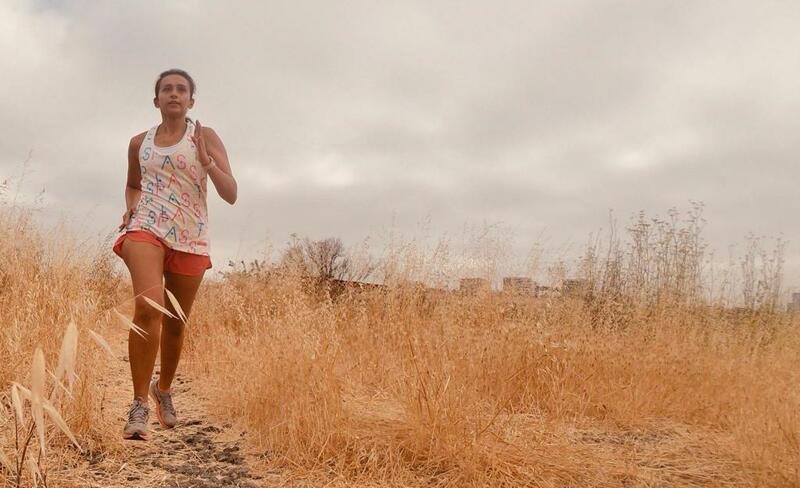 When it comes to courses for running, Shibani prefers undulating terrain over flat ones. “ I have never felt motivated to apply for races like Berlin, which are famous for their flat, fast courses,’’ she said. Yet, she has participated in a number of stadium ultras run on flat, synthetic track. “ Stadium runs, though on flat course, offer a different challenge. The challenge in stadium runs is combating the boredom of running on the 400 meter-track, loop after loop. It is mentally challenging. Further extended running in loops casts greater pressure to one side of the legs; race organizers address that by shifting from clockwise to counter clockwise and vice versa every few hours. That said, the nicest part of a stadium run is that you are assured of food and hydration at regular intervals. The stadium runs in Bengaluru are great fun. Plus the weather there is fabulous,’’ she said. In 2016, the stadium ultra in Bengaluru introduced a new 36 hour-run. Entry for this segment was by invitation and many ultramarathon runners were invited to participate. Held in August 2016, Shibani was one of the participants in the 36-hour run. “ The first thing I went and asked the organizer was how many hours of the 36 hours I could spend sleeping. I was told six hours. I slept for five hours,’’ she said. For this run, she attempted running with shoes sporting different types of soles; she also ran 40 km barefoot. She covered a distance of 184 km and ended up in the third position after well-known ultra-runners, Aparna Choudhary and Meenal Kotak. The 36 hour-run, according to Shibani, is challenging because of sleep deprivation. However, challenge or none, she doesn’t appear to have slowed down in the momentum of participating in events. A week after that 36 hour-run, she ran the 12 hour-Mumbai Ultra held on August 15, 2016. That outing was followed by a 100 miler in September 2016 in Singapore. “ I like to register for a race. It gives me a goal to chase,’’ she said. In the weeks following the event in Singapore, she placed first in a 12 hour-race organized by Oxfam. Then, she took off to Finland alone to see the Northern Lights. 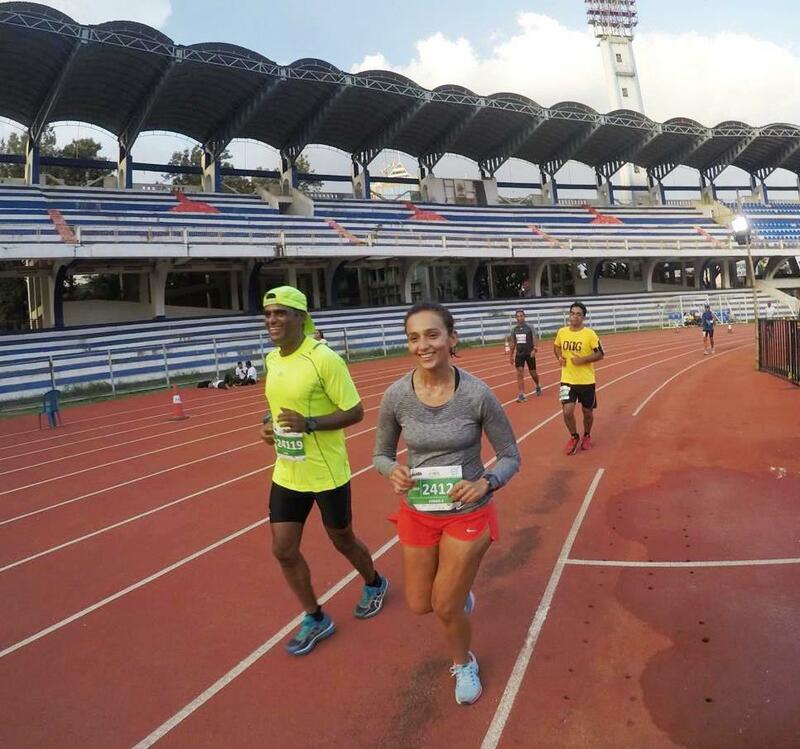 In 2017, among the many runs that she enrolled for, Shibani attempted the 24 hour-stadium run in Bengaluru. According to her, from the pantheon of stadium based-distances in ultra-running, it is the 24 hour-category that challenges her the most. As regards distances in road running, she finds the half marathon more challenging than the 10 km or the full marathon. “ I find the 24 hour-ultra-run much more challenging than 12 hour and 36 hour-ultra-runs. The 12 hour-run is easy. The 36 hour-format is tough sustaining. The challenge in 24 hour-ultra to me is akin to that of running the half marathon. I really like ten km-races because they typically get over in an hour. The half marathon stresses me because two hours is deemed respectable timing. That element of respectable timing makes some distances challenging. I want to get better in the 24 hour-run. I feel I have not given my best in the 24 hour-ultra-run yet,’’ she said. Along with her ultra-runs, she also added several marathons to her list of races, not to mention the occasional 10 km events and half marathons. In 2018, she ran the New York City Marathon, one of the six Marathon Majors of the world. The high point of her running so far has been participating in the 2018 International Association of Ultrarunners (IAU) 24 Hour Asia & Oceania Championships held in Taiwan. The run did not go as well as she would have wanted it to. “ On the day of the run, the weather was boiling hot,’’ she said. Her mileage suffered on account of the weather. “ It was great opportunity to get a chance to participate in this event, I had to change my training overnight from marathon training to ultra-marathon training with only a couple of weeks left for the event. I had barely any time to get the mileage required for ultra-marathon, under my feet. I could have trained better. Ultra-marathoners can’t really complain about the weather,’’ she added as afterthought. She followed that with another 24 hour-stadium run in Delhi, her last run of 2018. Shibani is one of those runners whose participation at events has been so prolific that specific instances escape quick recall and details tend to blur. Along the way there have been multiple editions of the Vasai Virar Mayors Marathon (VVMM) participated in. There was the Saputara Summit run, the Saptashringi Parikrama run. “ In 2017, there were only two months that I didn’t do a full marathon. I really like registering for a race. It keeps me focused on fitness. My work is such that you get sucked into it. Ultras challenge you to do well amid this predicament. I like challenges. I like races that offer some amount of challenge,’’ she said. Shibani has had her share of podium finishes, some in tune with her known strengths, some pretty unexpected. “ It comes as a real shock to me when I get a podium finish in a half marathon,’’ she said. Starting with the FICCI Flo Run in September 2015 in Pune, she has also been a pacer at running events. Given her approach of running and the distances she loves to tackle, some of these assignments are challenging on Shibani. “ Pacing is a tremendous responsibility. You have to think about others. I don’t normally drink water in the early part of a run. But there are others who need to. There are so many such details about your running that you have to change when pacing,’’ she said. With her running gaining volume and frequency since 2015, a lot of things have changed. 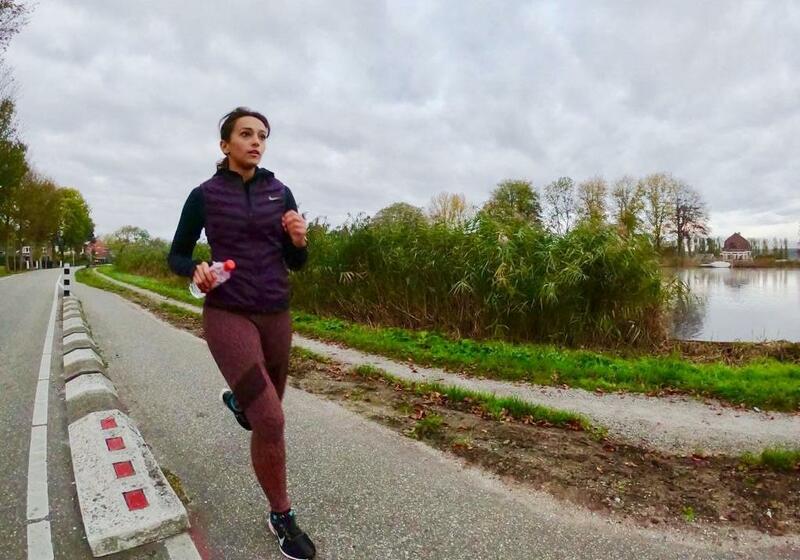 There is more structure to her training; there is a dedicated long run of 50-55 km on weekends, there is also greater focus on yoga and Pilates. Now, a familiar face on television, work does interfere with Shibani’s running. “ At any given point of time, my biggest challenge is work. I am passionate about whatever I do. When I work that has my entire attention. When I run, that is all that matters,’’ she said. Shibani often travels on work. When she does so, she makes it a point to make time for running. “ I make sure that happens. My works hours are crazy. Even if I am in office for 14 hours, I am out running at 6 AM. I have my lunch and dinner at the desk. Dinner at the desk because I can go home and sleep; it makes waking up early next day possible. Every 10-15 minutes saved thus gets added to my bank of time for running,’’ she said. There are also other angles. While registering for a race gifts her goal to focus on, she is also someone who digs solitude (she does a lot of her training alone). That is one reason she likes the long haul the ultra-marathon represents. But then it should be designed such that nothing distracts from the trance of being in an ultra. In 2016, she came off feeling not so good about the 100 miler in Singapore precisely because of this. There was an element of treasure hunt built into that race; it wasn’t a clearly marked course, she said. “ I like getting into a trance. Ultra-running is a lot about being in such rhythm after a certain amount of distance covered,’’ Shibani said. And so Canberra it was. 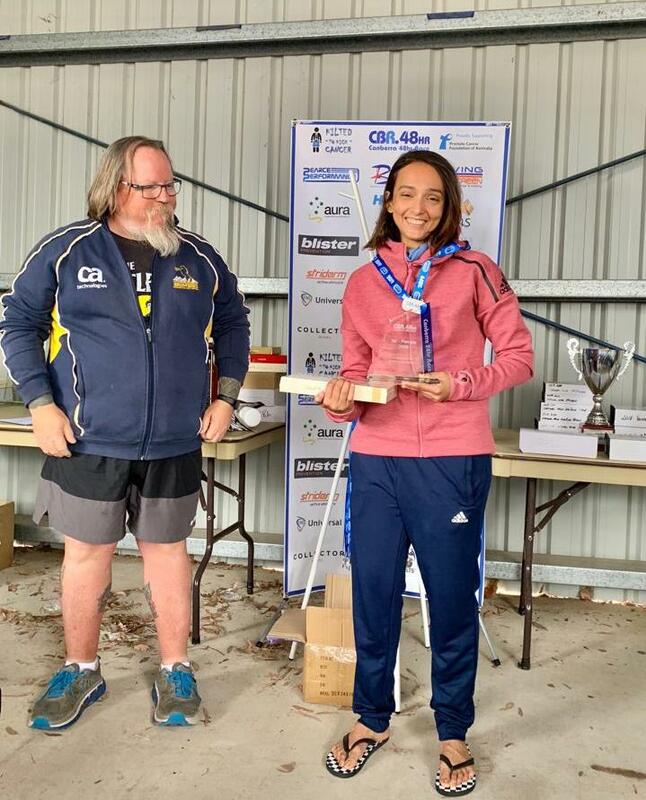 She enrolled for the 24-hour race at the Canberra 48 Hour Race, a track and field ultra, scheduled for March 15-17, 2019. 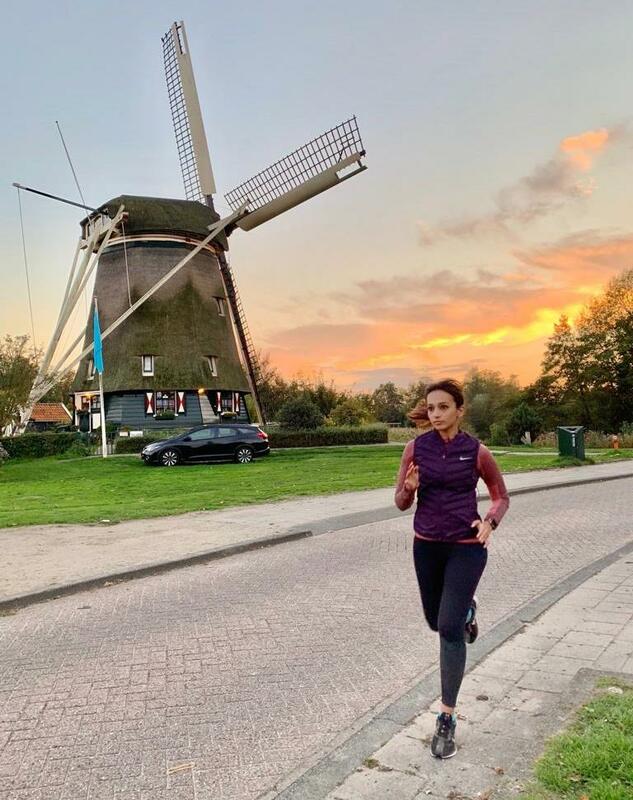 “ I wanted to do a race in March to keep up the mileage as in the following two months I may have to travel on election related work,’’ Shibani said. It was a fantastic experience. She found the camaraderie from Australian runners warm and helpful. She was running without any crew. Her run was from 9 AM to 9 AM; it was for 24 hours. “ For the first 15 hours, my run went off well and I was in fourth position among women. During the second half of the run, I started to face stomach issues and was unable to eat anything at all. For the last ten hours of the race, I just survived on water,’’ she said. At around 3 AM, with six more hours to go for the finish, Shibani started to feel a bit faint and decided to approach the medical team. She was advised rest for about 20 minutes. Barring this 20 minute break, she was pretty much on her feet all through and as the hours rolled by, she kept improving her rank moving up from fourth to third to second and finally first position. She ran 343 laps covering a distance of 142.2 kilometers during the 24-hour period, finishing first among women and eighth overall, as per official results. “ The most amazing thing was the help I got from other runners. They cheered me and offered me their crew members for assistance,’’ she said. 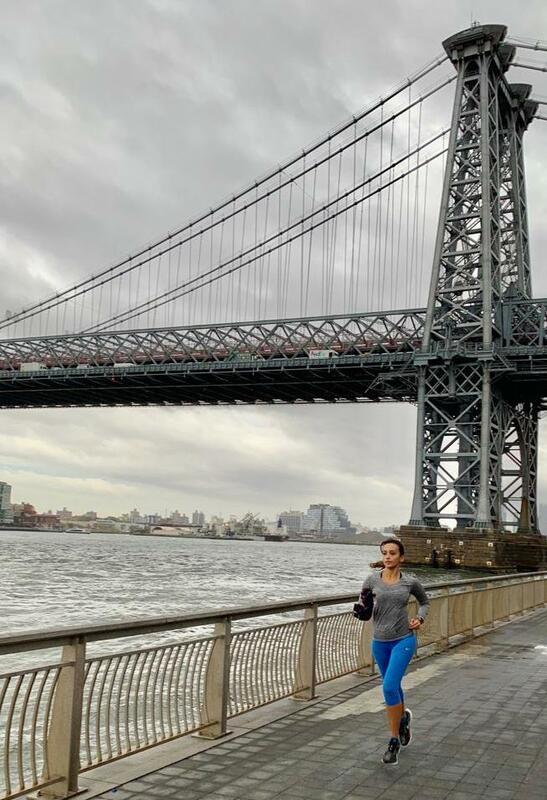 Among plans for 2019, Shibani had registered for the Chicago Marathon. “ I am not obsessed with completing the Marathon Majors. I am not obsessed with anything actually. I just enjoy running,’’ she said.